Due to the nature of their role, police officers are expected to behave in an honest and ethical manner, but unfortunately this isn’t always the case. Increasingly, we are finding ourselves reading about police breaches of procedure, corruption, and violence against members of the community. Police complaints in NSW are alarmingly common throughout the state, often being made by members of the public, and even by other police officers. Police complaints are usually investigated internally, and if the matter is deemed serious enough, or if the complainant disagrees with the findings, they can be referred to an external body like the NSW Ombudsman or the Police Integrity Commission for further investigation. The police need to be perceived as trustworthy and ethical to maintain community confidence, which means that serious breaches that are properly investigated have the ability to end an officer’s career. 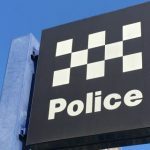 In a case which has hit the headlines recently, two of NSW’s highest-ranking police officers are reportedly under investigation by the Police Integrity Commission for alleged improper conduct relating to the disclosure of the number of police officers with criminal convictions currently serving on the force. 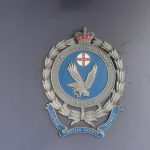 A former NSW police officer, who now resides overseas, obtained documents under the Freedom of Information Act which revealed that 437 serving NSW police officers had previous criminal convictions, 70 per cent of which were committed before they entered the force. When the information first came to light earlier this year, NSW Police Commissioner Andrew Scipione dismissed it on the basis that those convictions were for minor PCA offences and other similar minor offences. But that was a false statement. The former officer obtained further information that revealed a number of the convictions were actually for more serious offences, including several serious assaults, sexual offences and break and enters – all of which can be punishable by prison sentences. 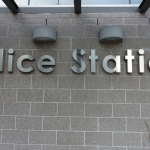 Although the former officer initially made a complaint at the time, an investigation by the NSW Police Professional Standards Command found the complaint was not upheld, and a subsequent review by the NSW Ombudsman agreed. But now, the Police Integrity Commission is believed to have stepped in to investigate the matter. The former officer alleges Mr Scipione misled NSW Parliament and the community about the number of police officers with criminal convictions, and had ‘inappropriate’ discussions with NSW Ombudsman Bruce Barbour relating to the matter. However, it’s not clear whether both these allegations are being investigated by the commission, or if only one is the subject of the probe. NSW Deputy Commissioner Nick Kaldas is also under investigation regarding the alleged disclosure of confidential information to another former police officer. The idea that police officers are allowed to serve with prior convictions for serious offences creates a considerable amount of concern for public safety and welfare, as well as for the integrity of the system. When the revelations as to the number of police officers currently serving in NSW with criminal convictions were first made public, a great deal of anger and outrage was expressed in the community. Allowing persons with serious convictions to work on the police force undermines its integrity, and the confidence that the community has in the police force and law enforcement in general. How common are police complaints by other officers? Evidence provided to the Police Integrity Commission would suggest that around 10% of the complaints it handles are made by police officers against other officers. Of those complaints, an estimated 85% are taken further and result in an investigation. Some of the complaints centre on officers’ interactions with members of the public, inappropriate use of force, or breaches in procedure. Internal complaints can also be made against co-workers around workplace behaviour like sexual harassment and bullying. If police don’t report misconduct by other officers, this can be widely viewed as police corruption and they can face serious penalties. In the case of Mr Scipione, if it is proven that he concealed the details of NSW police officers’ criminal records, he could potentially lose his job. Similarly, if investigations show that he attempted to interfere with the complaints process and unfairly influence the NSW Ombudsman, he could face charges of corruption.